Randall Kenan is Associate Professor of English and Comparative Literature at UNC-Chapel Hill. 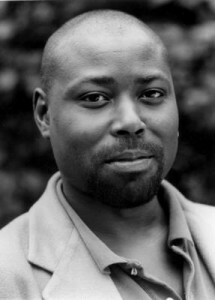 The author of A Visitation of Spirits (1989), Walking on Water: Black American Lives at the Turn of the Twenty-First Century (1999), and The Fire This Time (2007), and a collection of stories, Let the Dead Bury Their Dead (1992), Kenan has been nominated for the Los Angeles Times Book Award for Fiction, was a finalist for the National Book Critics Circle Award, and was among the New York Times Notable Books of 1992. His honors include a Guggenheim Fellowship, a Whiting Writers Award, the Sherwood Anderson Award, the John Dos Passos Prize, and the 1997 Rome Prize from the American Academy of Arts and Letters.